The Archives will be closed from noon December 22 to 9am Wednesday, January 2, 2018. 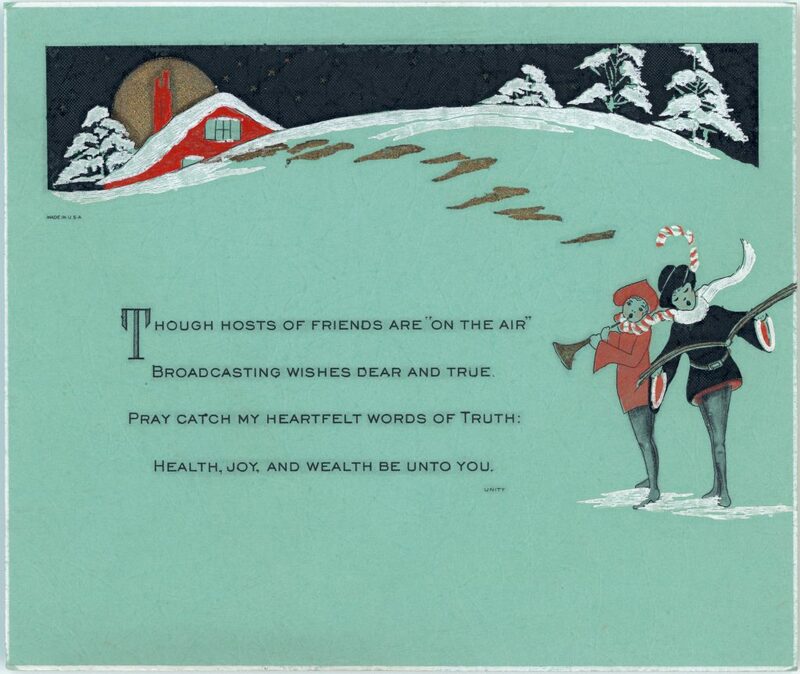 This greeting card “wishing health, joy and wealth be unto you” is from the Lorne Brown fonds. Just who the “broadcaster” was is uncertain, but the delightful colours and message ring true this time of year. 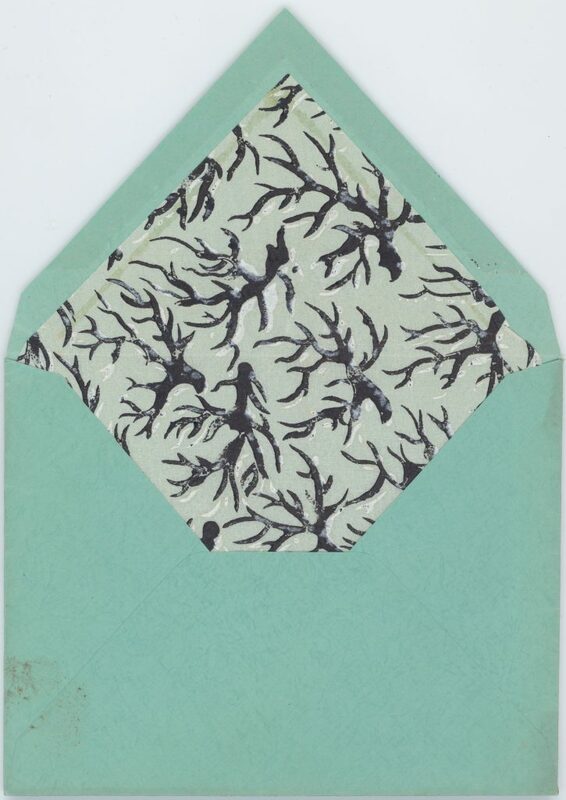 The matching textured envelope with block printing inside the flap is a wonderful added touch to this charming circa 1930 card. With contributions by Bronwyn Smyth. It’s that time of year again, the season of giving. Stuck for holiday gift ideas? Why not give the gift of local history? 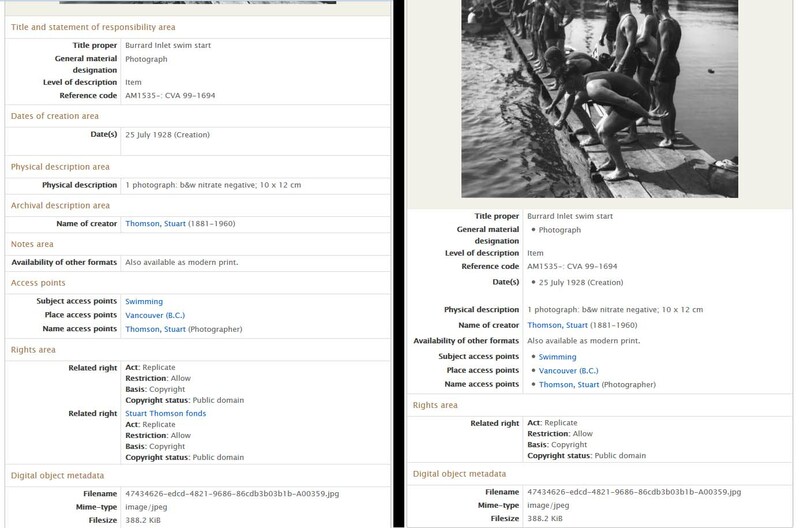 How about creating your own artwork using historical photographs of Vancouver? Sound intriguing? 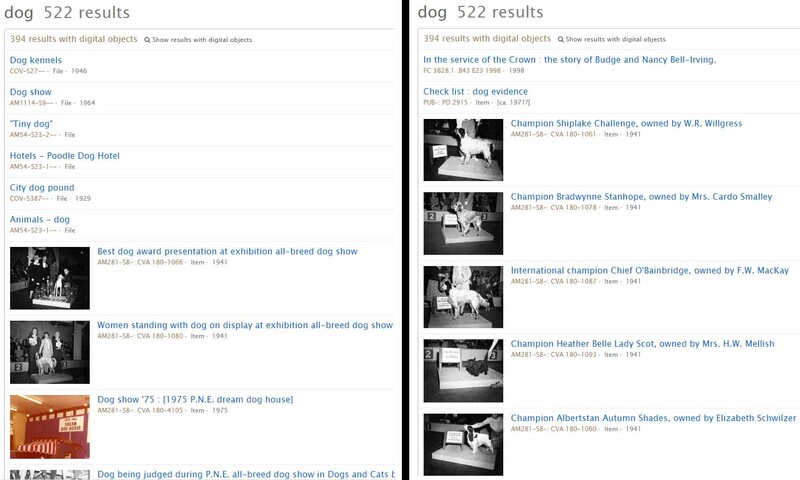 Then read on for a step-by-step guide to downloading hi-res photos from our online database. 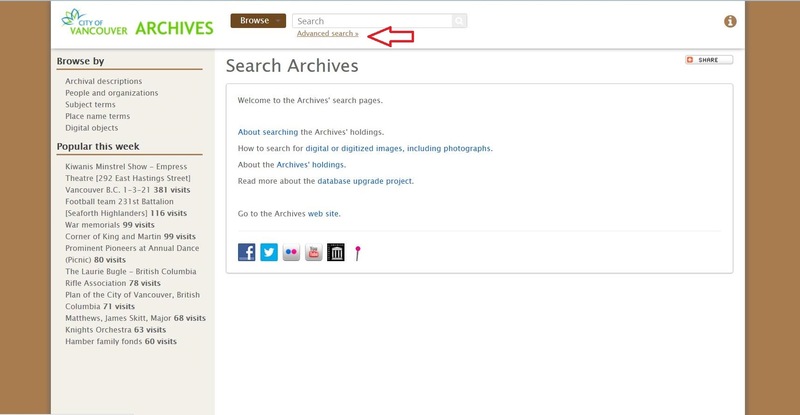 The City of Vancouver Archives has approximately 80,000 high-resolution photographs that are available for download from our online database. 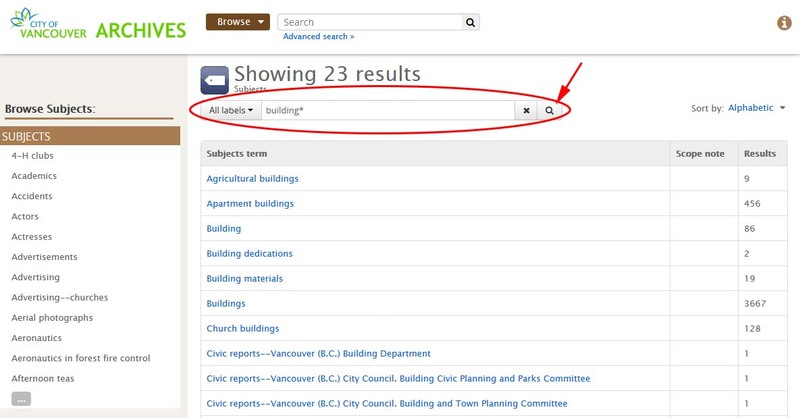 They are either Public Domain or City of Vancouver copyrighted images, which means that you are free to download and use them for anything your heart desires. The creative possibilities are endless, so let’s get started. 1. Search Archives main page. 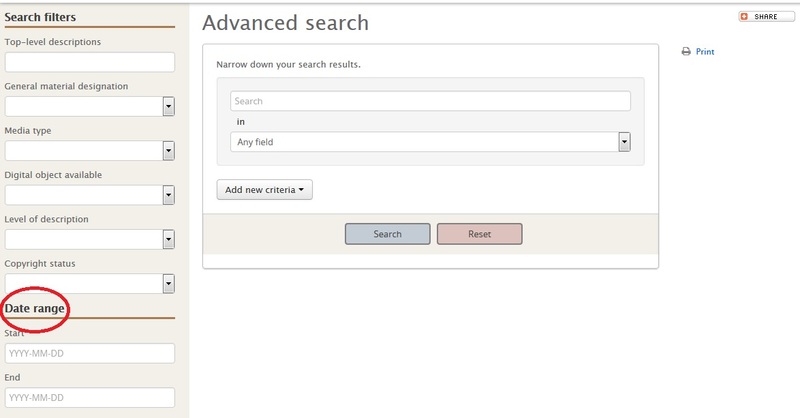 Select “Advanced search” at top of page. This year, we received funding from the B.C. 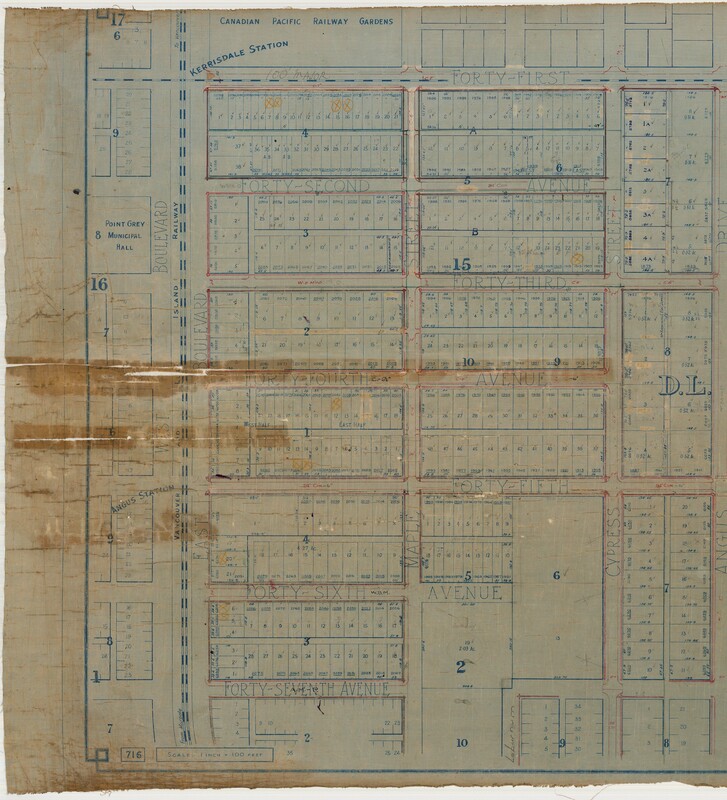 History Digitization Program to digitize more maps and plans from our holdings. 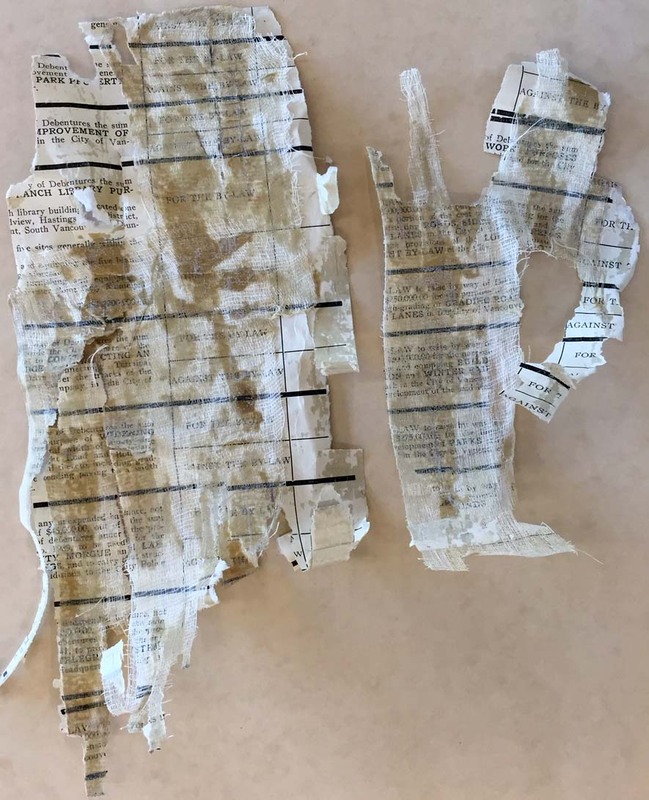 The maps need conservation work done to them before they can be digitized. 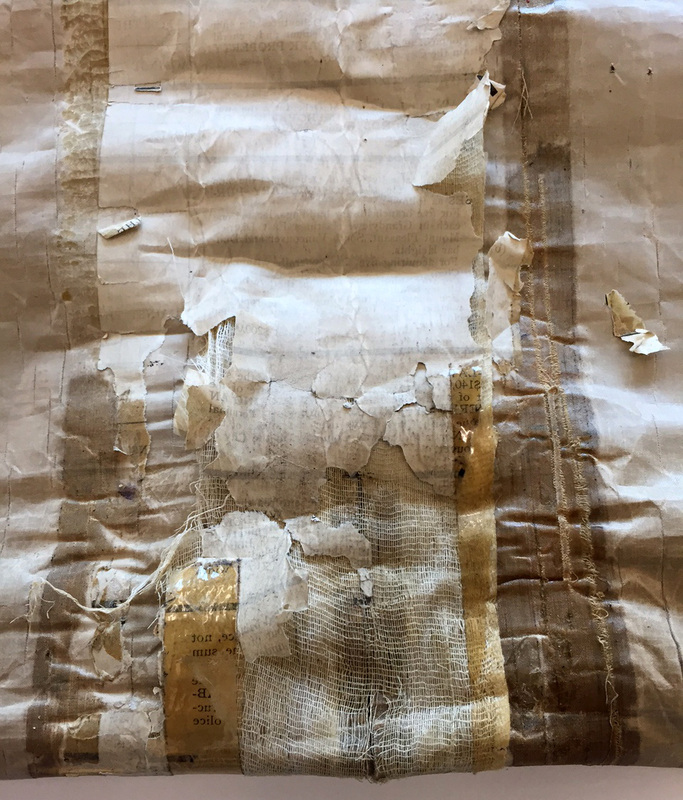 Here’s an example of a map that had an unusual old repair. This is one sheet from a set of Point Grey sectional maps from the 1920s. The map is 2.8m long, printed on cloth and has several tears at one end. A very long time ago, probably in 1929 or soon after, someone repaired it with cheesecloth, paper and glue, and later with adhesive tape. The repair paper caught my eye. Once it was removed, I took a closer look. It was made of blank ballots! Patch material from back of map. 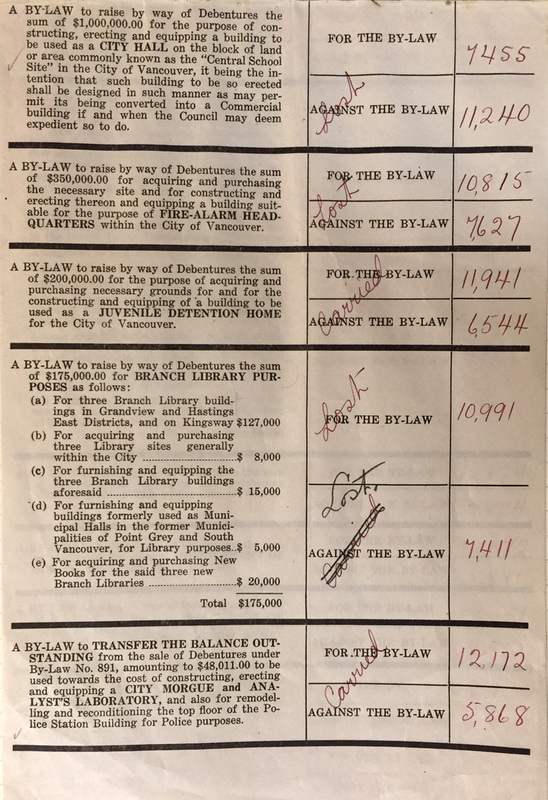 The questions on the ballot identified it as the second page of the money ballot from May 15, 1929, which we have as part of the City of Vancouver Record of Elections. Second page of money ballot from May 15, 1929. Reference code COV-S37– Container 87-G-1 vol. 2. Today’s equivalent of the money ballot is the capital plan borrowing questions section of the modern ballot. 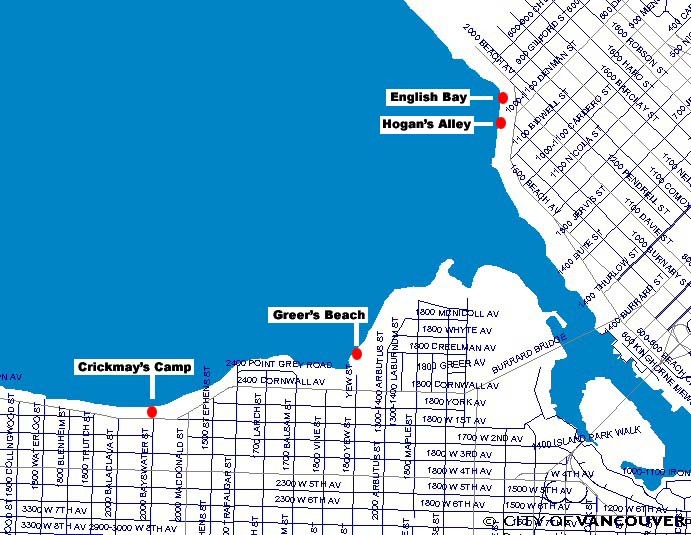 Since the original map was created by the Municipality of Point Grey, and the repair pages are 1929 City of Vancouver ballot papers, it seems likely that the maps were received during the process of amalgamating Point Grey and Vancouver (along with South Vancouver) in 1929. The repair was probably made by someone in the City of Vancouver who needed to use the map. Amalgamation included coordinating the street grid and street naming. Front of map after treatment, detail of one end. The Archives will be closed from noon Tuesday December 24 to 9am Thursday January 2. Card from the Orpheum Theatre, 1913. Reference code AM1519-: PAM 1913-10. This holiday card is not from the Orpheum Theatre we have today but from the second of three theatres in Vancouver which had the Orpheum name. That theatre was built in 1891 as the Vancouver Opera House and was renamed Orpheum in 1913. From about 1894 to 1908, summer camping on the beach was considered a fashionable holiday tradition, enjoyed by many of Vancouver’s early well-to-do families. The most popular spot was Greer’s (now Kits) Beach, where “tent town” comprised two long rows of tents on either side of an irregular “street” of beach sand. Greer’s Beach was reached by boat down False Creek from Carrall Street; on foot across the CPR trestle bridge or via a sinuous trail through the cleared area; or by buggy over a former wagon track used by loggers with their oxen. These are the camping beaches shown in the images below.